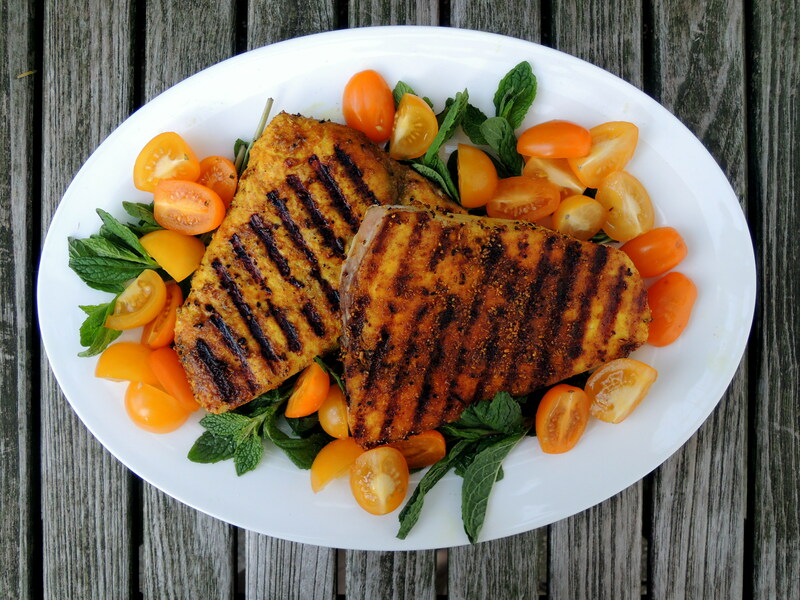 Classified as an oily fish, swordfish are large (some grow to 15 feet long and weigh 1,400 pounds) and are usually sold as steaks. They are often grilled because their meat is firm and can be cooked in ways more fragile fish cannot, including skewering on kebabs. Swordfish also is used in chowders and stews because the meaty texture of its flesh won’t disintegrate when subjected to simmering liquids. The commercial use of long line fishing nearly brought the swordfish to extinction. The technique attaches hundreds, even thousands, of hooks to a single line, sometimes many miles in length. Lines can be set to hang near the surface to catch tuna or swordfish, or along the sea floor for halibut or cod. Swordfish were rescued from extinction by a vigorous “give swordfish a break” advertising campaign launched by the United States Natural Resources Defense Council in 1998, which resulted in a ban on swordfish fishing in a broad swath of the Atlantic Ocean. As a result, swordfish stock has been fully rebuilt in the North Atlantic. Its status in the Pacific Ocean and South Atlantic is less clear, and it continues to be overfished in the Indian Ocean. 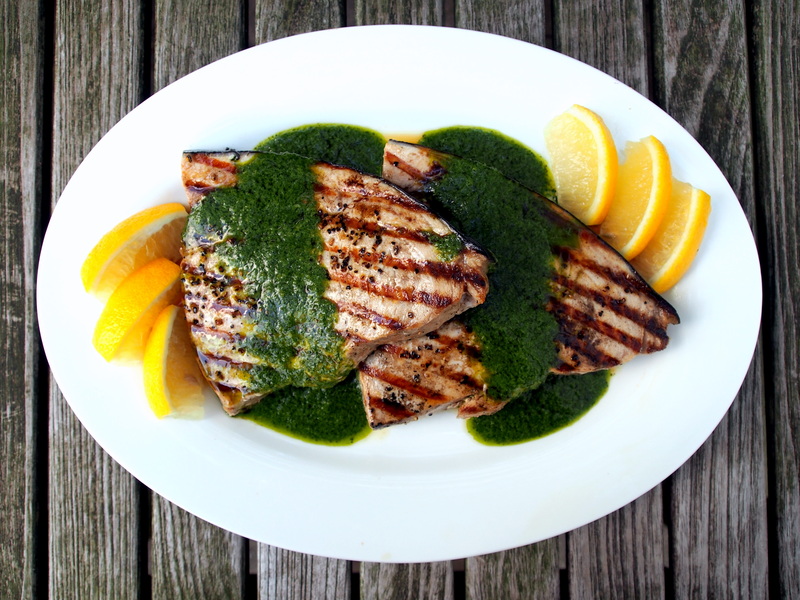 Seafood Watch lists North Atlantic swordfish as the best choice for consumers and swordfish is no longer listed as an endangered species by the International Union for the Conservation of Nature. The United States Food and Drug Administration (FDA) warns of potential toxicity from high levels of methylmercury in swordfish. Mercury occurs naturally in the environment, but it is also released into the air through industrial pollution. It falls from the air and accumulates in the oceans where, in contact with water, it becomes methylmercury. Fish absorb it as they feed; large fish, like swordfish, which live longer and have more prolonged exposure to pollution, have higher concentrations of methylmercury in their bodies. High levels of mercury may harm an unborn baby or young child’s developing nervous system. The FDA therefore advises women who are pregnant, who may become pregnant, or who are nursing not to eat swordfish. Children under twelve should also avoid swordfish, and the rest of us should eat it no more than once a month. 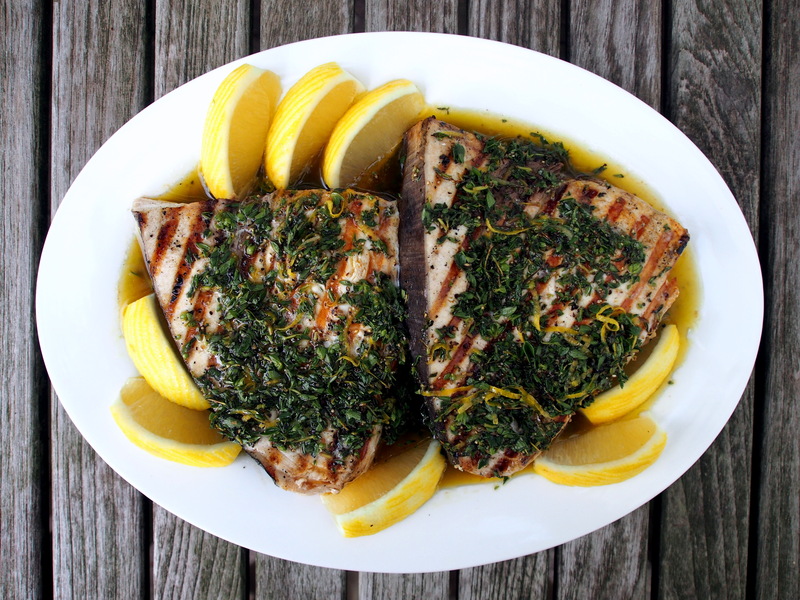 o Remove swordfish from the refrigerator and allow it to come to room temperature. Rinse the fish under cold tap water and pat it dry with paper towels. Rub the fish lightly with olive or vegetable oil. o Brush the pan lightly with oil and heat until it is hot. 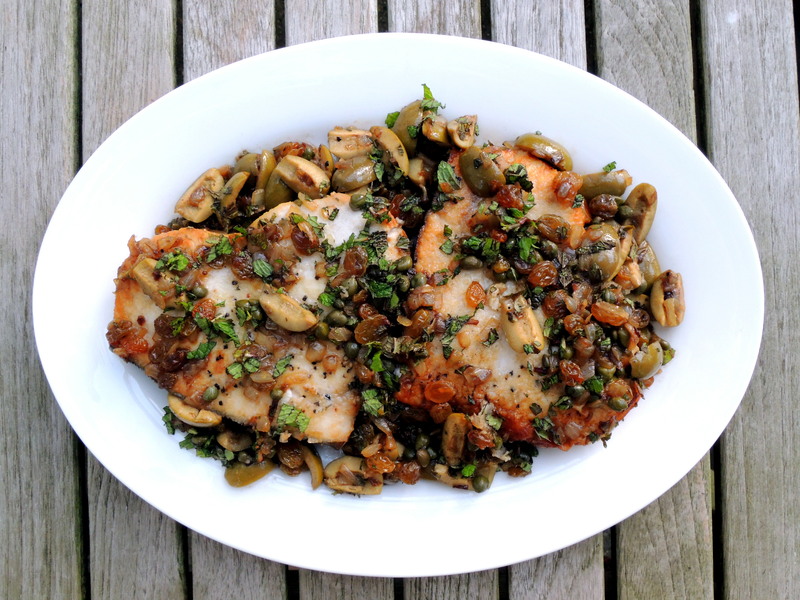 Reduce the heat to medium high and add the swordfish. 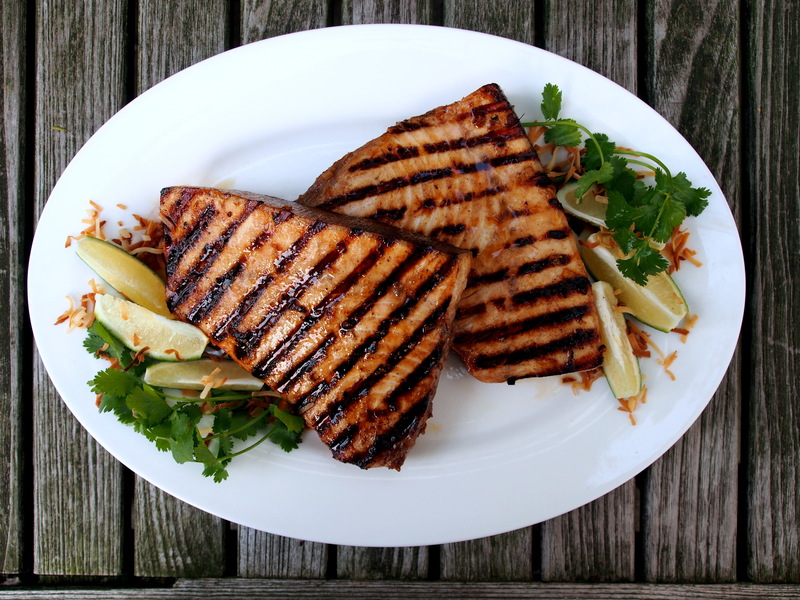 The rule of thumb is to grill the fish 10 minutes per inch of thickness, turning once midway through the period. 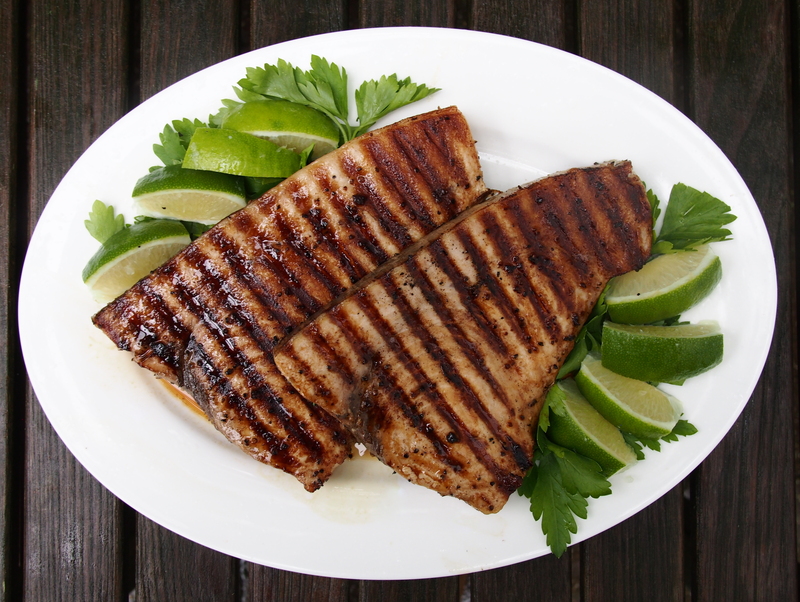 If you prefer rare fish, grill for 5 minutes on one side, enough time to create grill marks, then turn for 3 minutes on the reverse to keep it moist inside. (Obviously, serve with the grill marks up…) The government recommends cooking fish to an internal temperature of 145* on a meat thermometer. 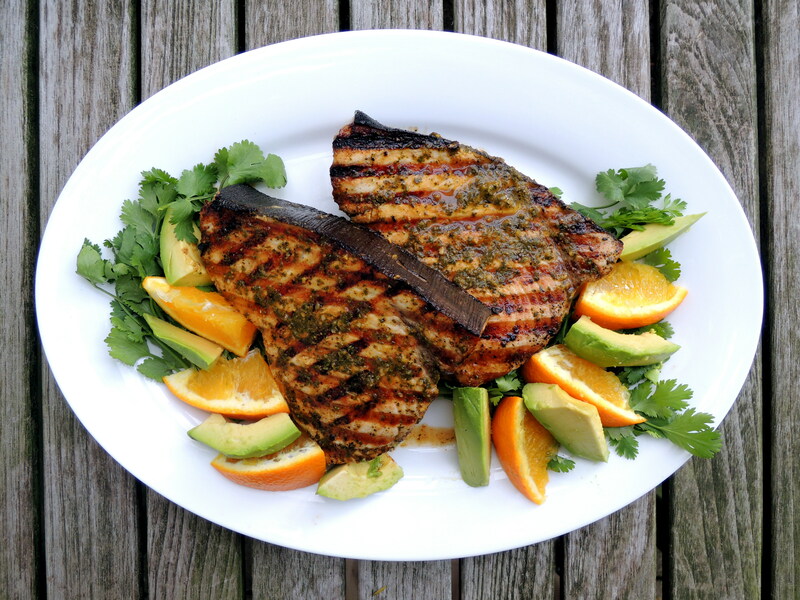 o To grill swordfish an outdoor grill, build a charcoal fire or heat a gas grill thirty minutes before you plan to serve. When the coals are medium hot, brush the cooking grate with oil to prevent the fish from sticking. Place the fish on the grate over the coals and cook for 5 minutes on each side, just until it’s no longer pink in the middle. Remove swordfish to a platter, cover tightly with aluminum foil and let it rest for 10 to 15 minutes. Serve hot or warm.